HMS Health is your trusted partner for medical equipment operations. Our CBET skilled technicians provide prompt, personal, and reliable service so you can feel confident with your equipment. By offering a proprietary tracking and reporting system, we help you improve compliance, effectively control inventory, and spend less time performing administrative work. Saving lives, time, and money—all while helping maintain your equipment for life. As a quality and service-first, privately held company, HMS Health has the flexibility to work with and support your clinical and quality objectives as well as help reach your financial goals. HMS Health technicians have years of experience and are required to be CBET certified – which is the accreditation provided by AAMI (Association for the Advancement of Medical Instrumentation) and is the gold standard of our industry. Our technicians perform services on thousands of equipment pieces from over 800 different original equipment manufacturers (OEMs). HMS Health provides maintenance of medical equipment and management solutions that let health care facilities maximize the benefits of the latest technology while optimizing asset availability throughout the equipment lifecycle. Most importantly, we make it our mission to partner with you, continually discovering ways to benefit your clinic or hospital. How can HMS Health serve you? HMS Health LLC specializes in hospital clinical equipment maintenance; including biotech and asset management services. Our experienced professionals can streamline your maintenance and reporting processes, ultimately reducing your costs and improving your quality of care. 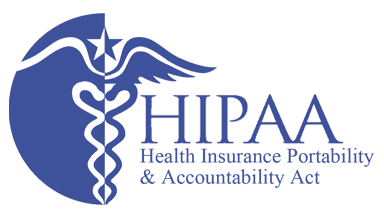 HMS Health is proud to be a member of regional and national associations that support the medical community.